Omnitrope is bio identical to the human growth hormone. It is a clear and colorless solution that is distributed in dosages and injected into the bloodstream. When most people think of injections, they picture a large needle and painful process of getting a shot. Modern science has moved far past those times. In today's day and age injections are virtually risk-free and painless. Should you take on Omnitrope, you will realize that the easiest thing about treatment is the injections themselves. Growth deficiency is no joke - it leads to crippling effects that makes life unbearable for those who suffer from it. Both men and women of all ages, and even children can experience growth deficiency. It can come in many forms and stem from different sources such as growth hormone deficiency in children, disturbance in growth caused by Turner's syndrome or chronic renal insufficiency. These three specifically is what the medicine Omnitrope is used to treat. 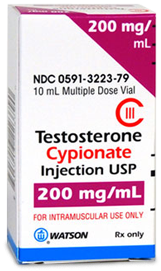 Omnitrope replicates the qualities and functions of the human growth hormone, popularly known as "HGH." 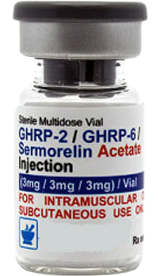 Its active ingredient is Somatropin, also described on our website in detail. 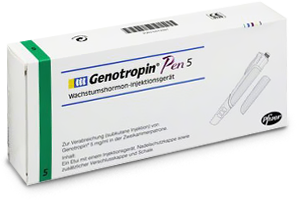 Somatropin is a protein molecule that acts a messenger for the pituitary gland, which is known as the master gland that secretes many hormones including the master hormone, HGH. The human growth hormone is the most important for the normal growth and development of the body because it regulates fat distribution, formation of vital body organs, muscle distribution, heart function, metabolism and an abundance of other crucial processes of the organism. With a continuously staggering level of HGH, the organism suffers both mentally and physically. Besides physical signs such as a short stature, fat buildup around the abdomen, mental signs can also be burdening such as depression, irritation, and difficulty focusing. Omnitrope is a specific sort of medicine made up of mostly Somatropin, a protein molecule naturally produced by the body. The reason Omnitrope is needed by some is that the body doesn’t produce enough growth hormone to stimulate a normal development. 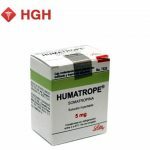 Omnitrope, for this reason, is usually used to treat children with growth hormone deficiency, Turner syndrome, or chronic renal insufficiency. Should your child show signs of growth deficiency, it would be beneficial to look into a treatment designed especially for them. This is the only way they can get exactly what they lack in the right dosage. You also need to make sure you get Omnitrope from a trusted source, like through a prescription from one of our specialized physicians. They will be able to make an informed decision about a proper treatment cycle, dosage, and prescribe the right product. 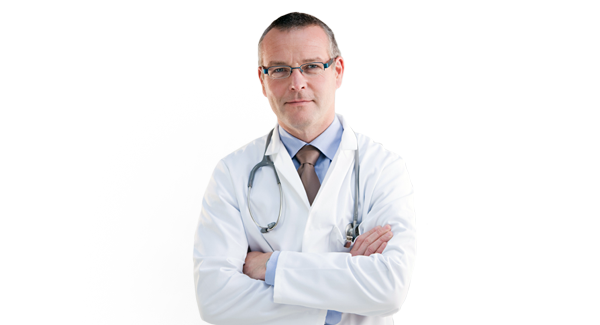 All medicines we offer are proven effective as well as safe and of course, legal. Why should you be forced to waste your valuable time and precious money on products that will be counterproductive to your health? Make the right choice to get educated about Omnitrope and other types of Somatropin medicines. That way you can decide for yourself whether you want to work with your body or against it. In making the choice to get your growth deficiency treated, take the matter as seriously as it really is. Remember, growth deficiency is serious, don't let your body suffer through it. Before you can get there, however, you must abide by the process of obtaining a legal form of Omnitrope that will ensure your safety. Through our services it's all quite simple - contact us, set up an appointment with an approved physician that specializes in medicines such as Omnitrope, and get tested. At your meeting you will be asked to give a count of your family and personal medical history and draw some blood for testing. Once the doctor can effectively evaluate your need for Omnitrope, he or she may prescribe Omnitrope injections that you can administer yourself at home. A proper dosage of Omnitrope ranges anywhere between 5 to 10 milligrams per 1.5mL of solution. This comes in an injectable pen very much like those used by diabetics to inject insulin. Omnitrope should be injected once every evening. Any difficulty you experience with the pen or if you happen to miss a dose or feel out of the ordinary, you should immediately contact your doctor for further action. Listed below are potential side effects. Should any of these occur, it is critical that you let your physician or doctor know, even if it is something minor. It cannot be stressed enough that a healthy dosage and treatment schedule must be adhered to for optimal effect of the medicine Omnitrope or any other Somatropin-based drugs. Follow closely what your doctor tells you in regard to treatment and you can effectively and quickly rid yourself of the troubles of growth deficiency. You don't have to live with it, you can live with ease if you just choose wisely. Beware of companies that run scams, offering low-quality or counterfeit medicine that is ineffective and dangerous. Make the choice to treat your body right and it will return the favor. I am 72 years old. Have been taking monitored for 8 years. Have started experiencing joint pain, especially in my knees and hip. Don’t know if this is a side effect or old age. Am going to quit injections for a couple weeks to see if my joint pain gets better. 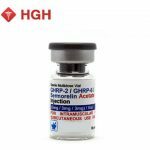 I’m in my late 50’s and I can tell you honestly, I never thought I would be taking HGH. I run in the morning and work out often. I go biking and play tennis. Needless to say I try and stay active. I talked to a friend of mine who I bike with about Omnitrope. He recommended that I start taking it and I did. Honestly never felt better. I feel like I’m 20 years younger. I have more stamina and my endurance during biking is basically endless. Thank you so much. I thought that hgh injections were very painful. I hate needles and blood. However, when I got prescribed Omnitrope the process of injecting was actually pain free. Sometimes if I hit a bad spot I’ll get a little bruise, but other than that Omnitrope does what it’s supposed to. I’m 38 years old. I recently gave birth to two beautiful girls. I started taking Omnitrope to help me with the recovery. It’s been a month now and I’m seeing results. I work out 3 times a week and maintain a very healthy diet. Anyone who is considering taking Omnitrope should do the same. It fills you with energy and gives you the boost that you need to push yourself.